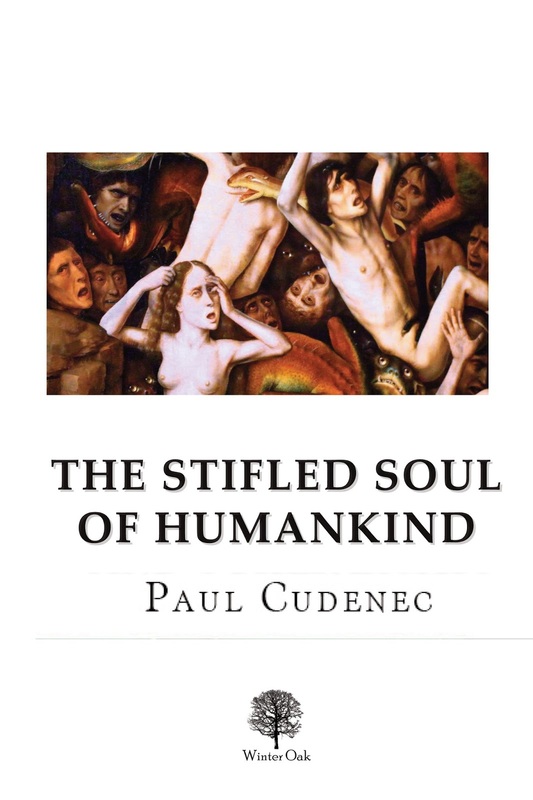 Writer Paul Cudenec has given an interview to a newspaper in England about his latest book, The Stifled Soul of Humankind. Paul told the West Sussex County Times, which covers the area where he used to live, why he had chosen to go to France to write. “I could feel a real negative pressure building up around me in West Sussex,” he recalled. “Not only the threat from fracking, but also from massive house-building schemes, the possible expansion of Gatwick and so on. Paul insisted that despite the downbeat title of the book, and the rather scary cover art depicting damned souls, it contains an essentially positive message. He explained: “On the one hand I try to describe all the factors that have blocked the freedom and the potential of humankind – from the megalomania of the Roman Catholic Church through the theft of common land and the suppression of folk culture, to the lie of ‘progress’ that is still being imposed on us today and which threatens our very existence. Paul said it was important to realise that this idea of resistance was spiritual in origin – an aspect which he said had been neglected by many contemporary radicals who were still attached to a “scientific” or economic analysis of society. “One of my favouriter thinkers, the German-Jewish anarchist Gustav Landauer, was warning of this 100 years ago – he saw dogmatic Marxist thinking as the biggest enemy of any authentic human renaissance because it denied the very idea of a human spirit. In his book, Paul traces a thread of ideas back to the 13th century and the Brethren of the Free Spirit – rebel Christians viciously persecuted by the Inquisition. Their anti-authoritarian heresy spread across Europe, helping to fuel centuries of peasant uprisings, and later inspired the radical Ranters and Diggers of the 17th century English Revolution. Also woven into the story are the likes of William Blake, William Morris, Richard Jefferies, Franz Kafka, René Guénon, Herbert Read, Carl Jung and Aldous Huxley.